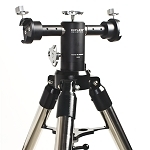 Vixen Optics engineered their AP mount to be customized as your needs demand, and is offered here in its Advanced Polaris Alt Az Mount configuration. 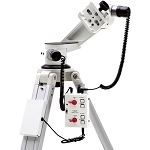 It will serve well as a conventional manual alt-az mount with competent 8.3 lb payload capacity, dual-axis slow motion control knobs, and an integrated counterweight and shaft. A clutch-less friction-control system allows the mount to be quickly moved to your target by simply pointing the OTA where you want it with your hands. 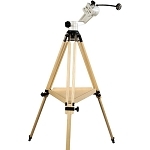 To support the mount is Vixen's APP-TL130 tripod, with an adjustable height from 20.7 to 45.6" to accommodate a variety of users. 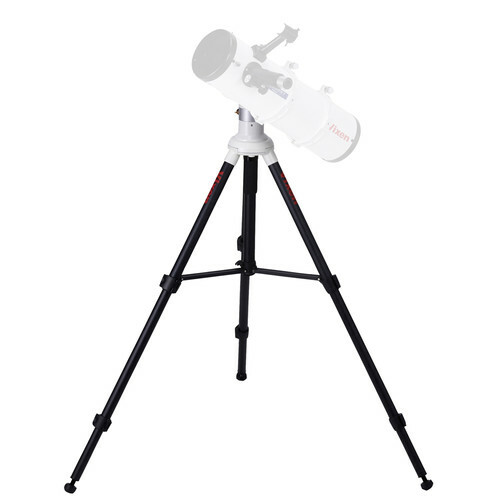 An array of optional accessories are available separately so you can tailor the mount to your specific needs including: a right ascension motor and Star Book One hand controller kit, declination motor, Polar alignment scope, and Polar meter.